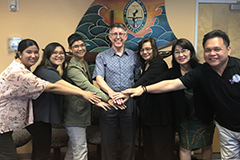 The University of Guam has committed its support for reaching an island-wide colorectal cancer screening rate of 80% with the signing of a pledge on March 14 by UOG President Thomas W. Krise. 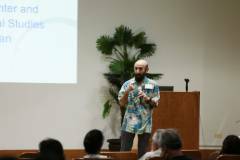 The 40th CLASS Annual Research Conference themed "I Tano, I Tasi, yan I Taotao Siha: Boundaries, Balance, and Behaviors" will take place from 8:30 a.m. to 4 p.m. on Friday, March 8, in the Humanities & Social Sciences Building on the campus of the University of Guam. 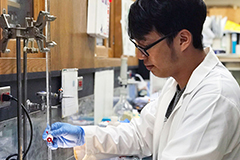 The University of Guam's Cancer Research Center will facilitate cancer clinical trials for patients in Guam through the University of Hawaii Cancer Center and FHP Health Center, Guam. 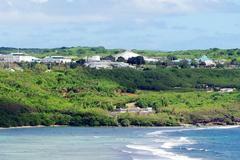 Check out the University of Guam in the latest headlines from Jan. 19-25! 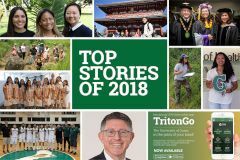 Let's take a look back at some of the stories that captured our attention in 2018! 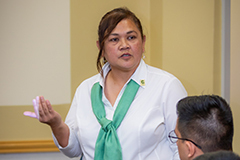 Welcome to the new Research & Sponsored Programs director! 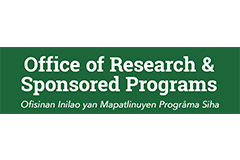 The University of Guam welcomes the following new administrator to the Office of Research & Sponsored Programs for the 2018-2019 academic year.